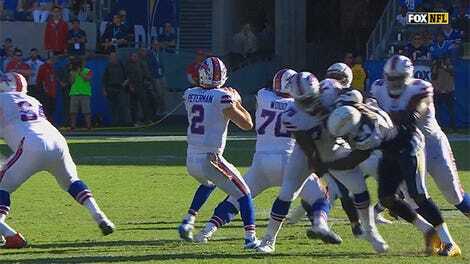 Time to add another highlight to the Nathan Peterman archives. After rookie QB Josh Allen hurt himself in the second half of Buffalo’s game against the Texans, Nathan Peterman took the field, and even gave the Bills a fourth-quarter lead with a very pretty touchdown pass. Buffalo’s defense was mauling Deshaun Watson, and it seemed that the Bills were in good position to pull off the upset and get to .500. It was not to be. 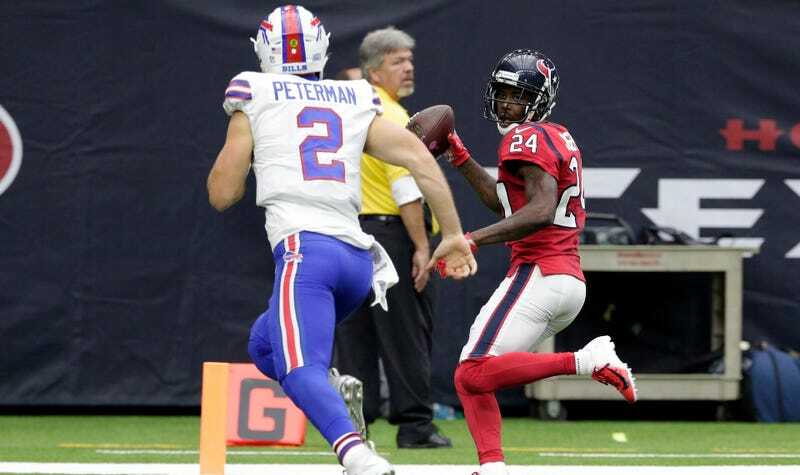 Peterman did what he does best, tossing a backbreaking interception that Texans defensive back Jonathan Joseph easily took to the house. He ended the following would-be comeback drive with another pick. The poor dude now has four picks on 30 pass attempts this season, and he wasted seven Bills sacks and three takeaways. I’m not sure how Peterman could top this one, and I hope for his sake that he doesn’t get a chance to.